The mother of a six-week-old baby who was mauled by a dog ran 'screaming from the house' when she discovered her child with horrific injuries. Neighbours say Lucy Donaldson, 28, was 'hysterical' when she found her son after the brutal attack at her sister's house in Hawick, Roxburghshire. Little Mikey Skelly was savaged by a terrier and flown to hospital where he is fighting for his life in intensive care. Neighbours in the small town saw the mother fleeing the house in despair and said she was unable to go back inside after the attack on Thursday. The baby's grandfather John arrived moments later only to emerge from the house with his head buried in his hands. It is understood by the Daily Record that the mother had left her little boy in the care of her sister's partner, Chris Cooper, who owns several terriers and lurchers. But neighbours claim he had gone outside to play football and left the baby in the house alone with the dogs. The paramedics arrived around ten minutes later and rushed the injured baby to hospital. Ms Currie said she saw Robyn carry the 'small' dog from the house and took it straight to the vet to be put down. Another neighbour, who asked not to be named, said the terriers can be 'aggressive' and wouldn't trust them around children. Forensics were at the scene following the horrific attack. Police Scotland say the boy's condition is 'critical'. That poor little mite. Why do people leave small kids alone with dogs? Most dogs are fine but you just never know and terriers are bred for ratting. Another child has died in Cornwall from a dog attack. Ten years old. How dreadful. Most if not all dog attacks on small children and babies are the fault of the adult. Syl wrote: Most if not all dog attacks on small children and babies are the fault of the adult. I saw a young lad pulled from his Bike by a Dog, the lads Cat came out like a Rocket and attacked the Dog! nicko wrote: I saw a young lad pulled from his Bike by a Dog, the lads Cat came out like a Rocket and attacked the Dog! Seen that clip, too. The cat sent that dog yelping for mercy. Cats can be ferocious, yet we dont hear of many kids ending up in hospital or dead because of cat attacks. I have seen 2 horrible potentially very dangerous dog attacks, both times it was the owners who were totally out of control of the situation. I have a home with a study that overlooks an adjacent wooded area. It has a well-defined deer path running along the edge, viewed from my study. My smallish cat once encountered a big buck, no doubt on the scent of some doe, on that path. She was going uphill; the buck, downhill. Neither could pass, the path was so small and the edges overgrown. Saw her take out after that buck, who ran for all he was worth. It's all in the attitude. OMG, that little boy could easily have been mauled to death but for the cat rushing out to defend the boy and attack the dog. 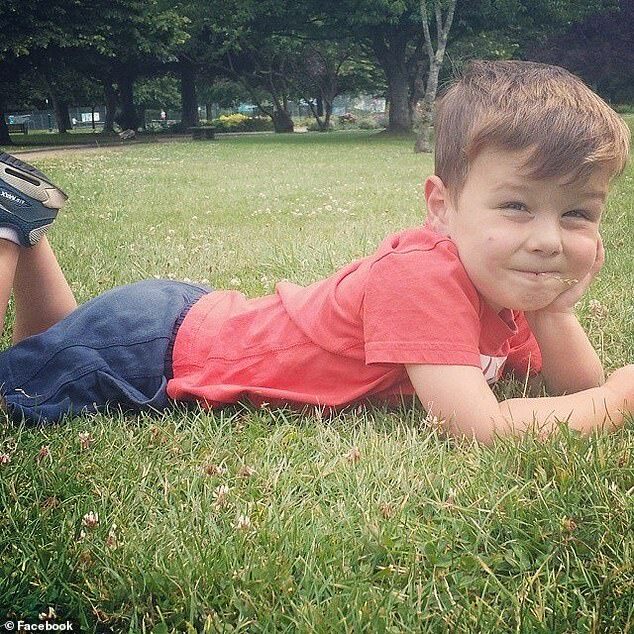 This is the poor kid who died in Cornwall after that dog attack. That's the one I saw. HoratioTarr wrote: This is the poor kid who died in Cornwall after that dog attack. He was left alone in a Caravan at 4am with some ones dog , did he hurt the dog so it attacked him ? nicko wrote: He was left alone in a Caravan at 4am with some ones dog , did he hurt the dog so it attacked him ? Reading between the lines, the owner of the dog wasn't affiliated with the family...so perhaps the dog wandered into the caravan where the kid was sleeping. Surely the door would have been locked, or at least shut, knowing the Boy was on his own ? How the hell could his mother leave the little lad alone in a caravan at 4am in the morning. She was with other people including the owner of the dog in a neighbouring caravan. God knows how the dog got in the caravan with the boy. The woman who owns the dog left the camp soon after the attack taking the dog with her. There have been reports that this dog has carried out four previous attacks.